I have a confession to make. We’re not a sporty family. There are no early morning soccer games, try-outs or travel teams. I’ve never tripped over a pair of cleats or scrubbed grass stains out of a football jersey. I’ve never been a team Mom and our calendar doesn’t reflect the ebbs and flow of seasonal sports. And while we may not root for our hometown favorite, there is one team we invest in daily: Team Cao! In the early days of parenting it’s easy to create a child-centered home. Young children need our attention and we are eager to quickly meet their needs. While we love the idea of our kids helping with day-to-day chores and responsibilities, it can be a frustrating endeavor. How many of us choose to do it ourselves because it’s faster and neater? Our need to “get it done right” becomes the hill we’re okay parking our priorities on and our kids miss opportunities to be an integral part of the family unit. 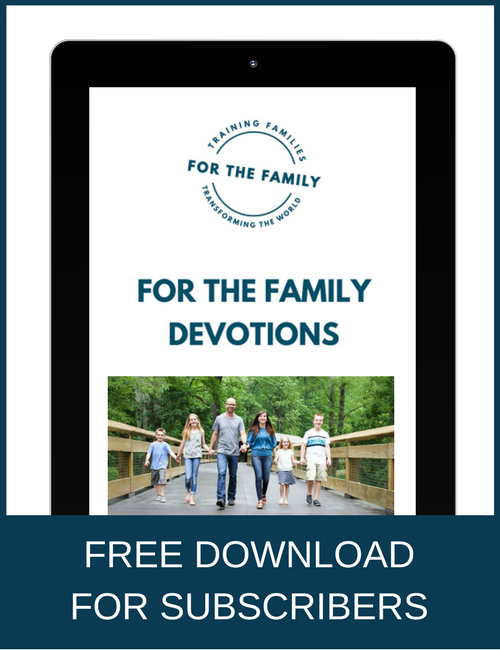 What happens when our child-centered home leads to self-centered hearts? A team-minded home isn’t about delegating chores. It’s about creating an atmosphere where the focus is on the collective heartbeat of the family. When a family functions as a team it thrives! 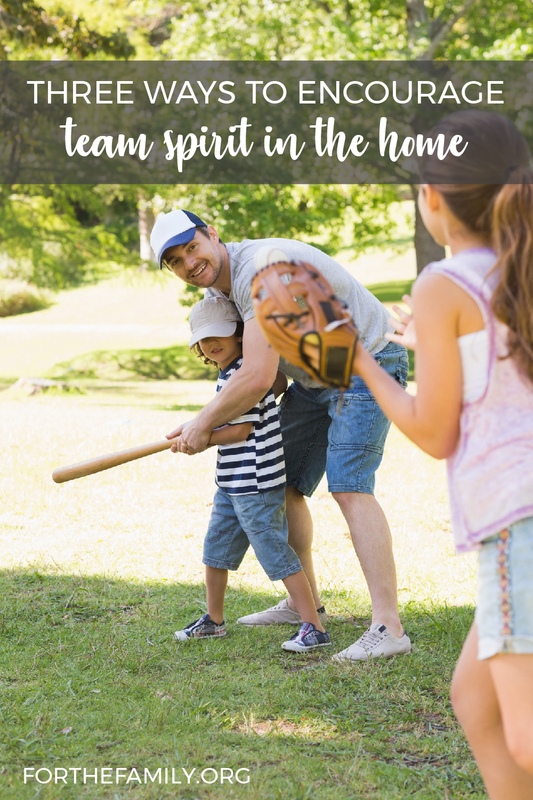 Here are three ways to encourage team spirit in the home. 1. Raise a helper. As soon as my little ones were able, I created opportunities for them to help. Whether it was putting toys in a basket or pulling clothes out of the dryer, they were never too young to learn the value of working side by side with mom, dad or a sibling. It wasn’t always convenient, but at least once a day I made time for us to work together. In the early years it was all about positive feedback; cheering them on as they completed tasks even though I inwardly cringed at laundry folded in unrecognizable shapes. But what was my goal? Perfection or participation? To have a helper or a worker? Anyone can complete a task according to a schedule, but a helper is quick to serve without considering the benefit to themselves. 2. Keep family the focus. We have five children ages sixteen to six months. As you can imagine, activities and school functions often pull us in multiple directions. We learned early on that we didn’t want to spend the bulk of our free time chauffeuring kids from one activity to another. Not only was it hard on the younger siblings, but we found ourselves spending too many weekends divided and exhausted. When it all feels like too much, oftentimes it is. There’s nothing wrong with pulling back, taking a break and reevaluating family priorities. 3. Communication. Honest communication is the best gift we can give our children when trying to encourage team spirit in the home. Too often I expected my family to know when I needed quiet time or extra help around the house. I was more motivated by wanting them to do the right thing without me having to ask instead of blessing them with opportunities to succeed. What I now see with my older kids is the more I communicate with them and vice versa, the better we are at anticipating each other’s needs. Talking about how we’re feeling and our expectations helps fine tune our family’s rhythm. When one of us needs help, we are better equipped to fill in the gaps, responding with love and sincerity. My son said it perfectly. When one of us struggles, we all struggle. When one of us rejoices, we all rejoice. Family is where we learn to love. Family is where we learn forgiveness and acceptance. Family is where we learn the deeper we’re rooted the stronger we grow. I’m praying for your team today! April Lakata Cao is a writer and homeschool mom to five beautiful kids. She is a proud military wife, married to her best friend of twenty years, and cherishes her noisy and laughter-filled home. She is a devoted coffee drinker and book reader. 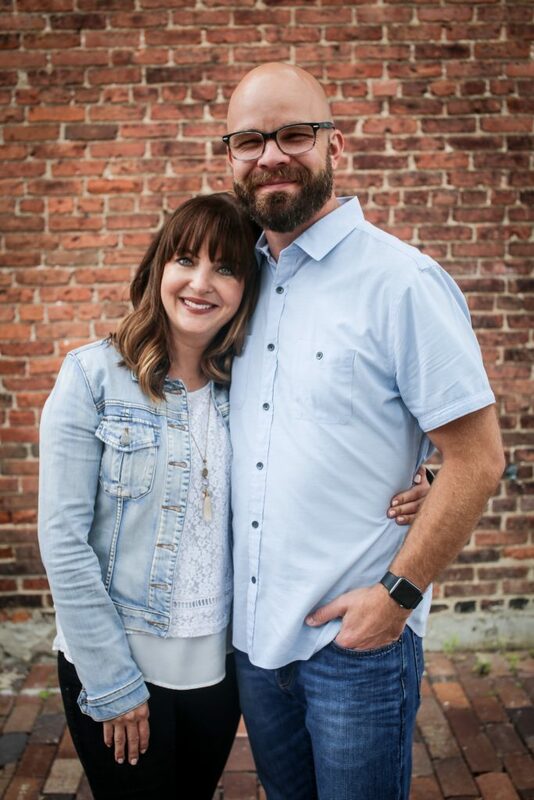 Her passion to encourage moms was born out of her own struggle to navigate the ministry of motherhood in the midst of constant moves, combat deployments, infertility and adoption. She has a heart for military families, especially those serving in the special operations and special warfare communities. April is a contributing author for “Faith Deployed…Again:, a Selah Award winner, and offers daily encouragement on Facebook at A Well Done Life.